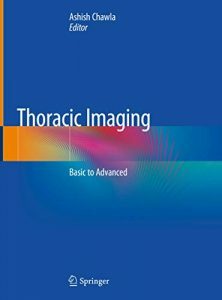 This book covers the imaging of thoracic structures with a focus on evaluation of the lungs. Pulmonary conditions are the most common global cause of mortality and morbidity, with lung cancer and tuberculosis being prevalent diseases in the developed and developing world, respectively. In the last few years there have been rapid changes in the imaging interpretation of lung diseases, particularly imaging of idiopathic pulmonary fibrosis. However, updated literature is not available yet. Filling this gap, the book provides radiologists with up-to-date, handy information on reading chest scans. This book uses standard terms and lexicons to describe the imaging findings. It consists of 14 chapters, and includes more than 1200 illustrations covering both commonly and rarely encountered conditions. The first chapter discusses imaging patterns and signs in thoracic imaging, while the chapter on interstitial lung diseases describes the hallmarks that are useful in the diagnostic pathway of these diseases. This chapter also incorporates the latest diagnostic categories of UIP based on CT patterns, and provides pictorial examples. Written by experts in the field, the book highlights imaging features and relevant clinical findings that may help in reaching diagnosis, and wherever possible, it presents the imaging features in tables for ease of memorizing.